Home / Blog / There’s No Room for Turkey on Your Home Heating Plate! It’s almost Thanksgiving—time for a plump, juicy turkey with all of the trimmings. Every good cook knows that one of the keys to a successful holiday meal is making sure the turkey—the star of the show—is the right size. If the bird is too small, some of your guests could miss out. If it’s too large, you will be eating turkey soup, turkey casserole and turkey croquettes for weeks to come. Well, your feathered friends at Air Professionals would like to remind you that size also matters when choosing a new heat pump or furnace replacement in Hunterdon County and beyond. A system that’s too small for your home will have a difficult—if not impossible—time keeping up with your comfort needs. A system that’s too large will cycle off and on more frequently, making it much less efficient and costlier to operate. The cool techs at Air Professionals are wise birds who have helped countless customers choose the heating system that’s just right. For some families, it’s a versatile heat pump that handles both heating and cooling needs. For others, it’s a gas-powered furnace. And for still others, an oil furnace makes the most sense. Furnaces use fuel to create heat—warming up air and sending it to every nook and cranny of your home. Heat pumps, on the other hand, pull warmth from the outside air and release it into your indoor spaces. There are pros and cons to both systems. Our technicians will glide on over to your Central Jersey home to size up your indoor space and recommend the system that will keep you cozy for years to come. We’ll also make sure your new system fits into your budget. To help defray the cost, we offer affordable financing and money-saving coupons. Once you’ve made your choice, we’ll install your system quickly, professionally and affordably. Before we leave, we’ll answer all of your questions about operating your system so that it provides maximum efficiency and comfort. Air Professionals is also the team you want on your side to handle routine maintenance, which is the most cost-efficient way to prevent your system from falling through the cracks due to unexpected repairs and meltdowns. It’s also the sure-fire way to keep your unit running efficiently and affordably. We’re Thankful for Our Cool Customers! When you count your blessings this Thanksgiving season, we hope you count your feathered friends at Air Professionals among them. We surely feel blessed being able to serve so many wonderful households and businesses in Central Jersey. 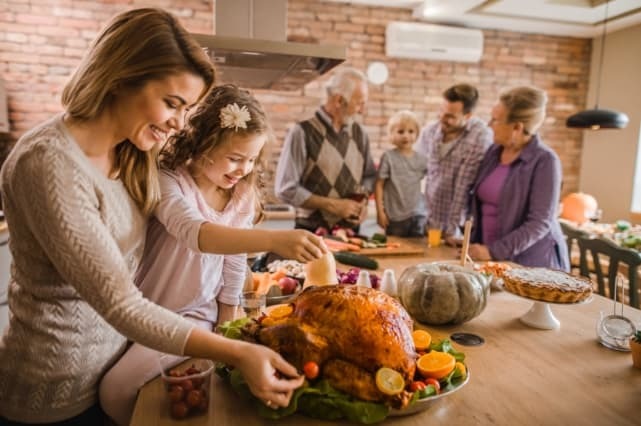 So, when you need furnace repair in Bridgewater or heat pump installation in Hillsborough, we’ll be ever so grateful if you continue to turn to us. Call Air Professionals today at 908-238-3732 or contact us on the web.